^ 1.0 1.1 1.2 M 9.1 - near the east coast of Honshu, Japan. 美國地質調查局. [2016-12-09]. ^ 2.0 2.1 CMT SOLUTIONS FOR EARTHQUAKES IN DECEMBER, 2011 (PDF). 気象庁. [2016-12-06]. （原始内容 (PDF)存档于2014-03-18）. ^ 7.0 7.1 7.2 NATIONWIDE POST EVENT SURVEY AND ANALYSIS OF THE 2011 TOHOKU EARTHQUAKE TSUNAMI. Coastal Engineering Journal. doi:10.1142/S0578563412500015. ^ 8.0 8.1 8.2 Results of Tsunami Surveys. The 2011 Tohoku Earthquake Tsunami Joint Survey Group. [2016-12-09] （英语）. ^ 震度１以上の余震の最大震度別地震回数表（日別回数） (PDF). 気象庁. 2016-03-11 [2016-03-11]. ^ 10.0 10.1 平成23年（2011年）東北地方太平洋沖地震について 被害状況と警察措置 (PDF) (新闻稿). 警察庁. 2017-03-10 [2017-03-10]. （原始内容 (PDF)存档于2017-01-06）. ^ 11.0 11.1 11.2 「平成23年（2011年）東北地方太平洋沖地震」について（第2報）. 気象庁. [2011-03-11] （日语）. ^ 気象庁、1カ月は余震警戒 津波も半日～1日続く. 日本経済新聞社. 2011-03-11 [2011-03-11]. ^ 此次是日本有現代觀測手段以來最大地震和海嘯. 騰訊新聞. 2011-03-11 [2011年3月11日]. ^ Magnitude 8.9 - NEAR THE EAST COAST OF HONSHU, JAPAN 互联网档案馆的存檔，存档日期2011-03-14. ^ Earthquake and Tsunami near Sendai, Japan. the Earth Observatory. 2011-03-11 [2011-03-14]. ^ 災拡大 ツイッターで情報 宮城・気仙沼. （原始内容存档于2012-08-04）. ^ Chisa Fujioka. Huge tsunami kills hundreds in Japan, sweeps across Pacific. 2011-03-11 [2011-03-11]. ^ 中南美因海嘯造成之損害–溫哥華報／AFP. 2011-03-12 [2011-03-13]. （原始内容存档于2011-03-15）. ^ Japan Tsunami Strikes Indonesia, One Confirmed Dead. JakartaGlobe. （原始内容存档于2011-03-12）. ^ 東北、関東大地震 - 一般社団法人 共同通信社 ニュース特集 互联网档案馆的存檔，存档日期2011-03-12. ^ 収まらぬ余震 …不安 東北、関東大地震 互联网档案馆的存檔，存档日期2011-03-17. ^ 881903.com 商業電台 - 商台資訊. [2011-03-21]. （原始内容存档于2011-04-15）. ^ 震災の名称 東日本大震災に (新闻稿). NHKニュース. 2011-04-01 [2011-04-01]. （原始内容存档于2011-04-02）. ^ asahi.com（朝日新聞社）：震災死者１万５８４４人 不明３４５１人 ２９日現在 - 社会. 2012-07-20. （原始内容存档于2012-07-20）. ^ 千葉煉油廠爆炸. 明報. 2011年3月11日. （原始内容存档于2011年3月16日）. ^ 気仙沼で大規模火災、陸前高田市街壊滅的被害. 讀賣新聞. 2011年3月12日. （原始内容存档于2011年3月16日）. ^ Waves sweep 4 out to sea in Crescent City as tsunami surges reach west coast | News10.net | Sacramento, California | Local News. News10.net. 2011-03-11 [2011-03-11]. （原始内容存档于2011-03-14）. ^ 福島第一原発１号機 海水で冷却. [2011-03-13]. （原始内容存档于2011-03-15）. ^ NHK WORLD English. 2011-03-13. （原始内容存档于2011-03-13）. ^ Travis Donovan. Japan Earthquake Shifted Coastline Maximum Of 8 Feet, Scientists Say. 赫芬頓郵報. [2018-11-08]. ^ Quick Report of Great Eastern Japan Earthquake and Tsunami 互联网档案馆的存檔，存档日期2013-02-26. ^ 日本強震 地軸偏了10公分 聯合報(2011/3/14 07:50) 互联网档案馆的存檔，存档日期2011-03-15. ^ 沈姝华. 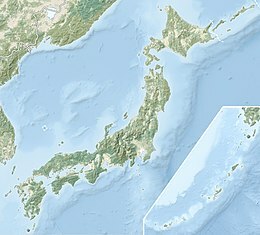 科学家称日本大地震使地球移动了25厘公尺. 科学网. 2011-03-14 [2011-03-14]. ^ 蓝建中. 日本大地震造成地壳变动最大值再被刷新. 科学网. 2011-04-20 [2011-04-20]. ^ Alicia Chang and Seth Borenstein. Quake is 5th biggest, but Japan best prepared. 華盛頓郵報. [2018-11-08]. ^ 蓝建中. 日本13座火山在大地震后开始活跃. 科学网. 2011-03-27 [2011-03-28]. ^ 日本政府向IAEA通报福島第一核电站事故. YOMIURI ONLINE. 2011-03-13 [2011-03-15]. ^ IAEA秘书长发表声明，将提供国际支援. 产经新闻. 2011-03-13 [2011-03-15]. （原始内容存档于2011-03-17）. ^ 媒体称日本强震致5死8失踪 自卫队派900人救灾. 搜狐. [2011-03-11]. ^ 新浪. 日本设立地震紧急对策本部 派自卫队参与救灾. [2011-03-11]. ^ 朝日新聞. 三家日本銀行將向東京電力提供1,000億日圓貸款. 華爾街日報. 2011-03-23 [2011-03-24] （繁体中文）. ^ World Helps Japan Fight Crisis. 2011-11-11 [2011-03-31]. ^ 最晚離開的英雄…我搜救隊 赴日共哀. 聯合新聞網. 2011-03-11 [2011-03-13]. （原始内容存档于2012-03-14）. ^ 韓球迷掛橫額：慶祝日本大地震. 蘋果日報. 2011-09-28 [2018-11-08]. ^ 韓球迷向日本道歉 被禁十年看球. 大紀元時報. 2011-09-30 [2018-11-08].